Instead of plodding through a few miles on the same old streets, we decided to make use of our season passes and walk around Six Flags. Just walking from the parking lot to the front gate is nearly a mile (since we never get up-close parking) and meandering around the park all day gets in another 3-4, with one more done on the way back out to the car. 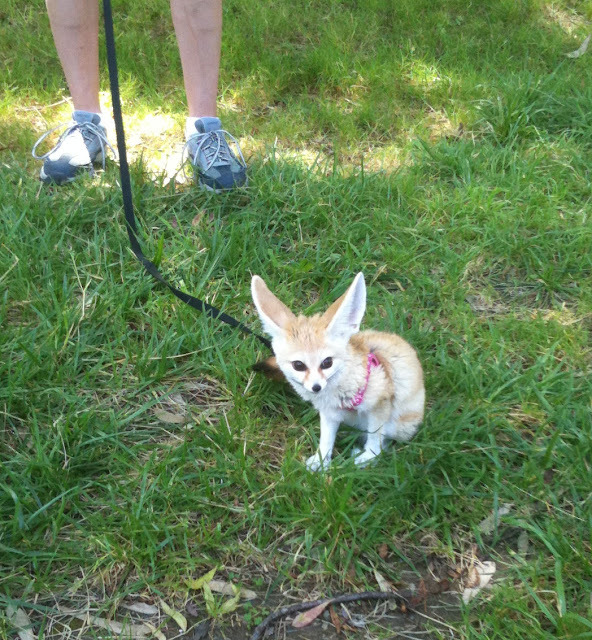 This little guy is a Fennec Fox, and they were taking him for a walk today. We've seen them taking the camels for walks before--I'm guessing because they don't have the biggest enclosures--and once they were walking an elephant, but this is the first time I've seen them out with one of the little guys. He was so excited, he peed for us. I didn't overheat this time--it was about the same temp as the last time we went and I nearly horked up my toenails because of the heat--but wearing shorts makes a huge difference over black jeans. All in all I think we got in 5 miles, plus I got a really cool hat. It might be a smidge too small, but it's spiffy and it's a funky shade of pink. 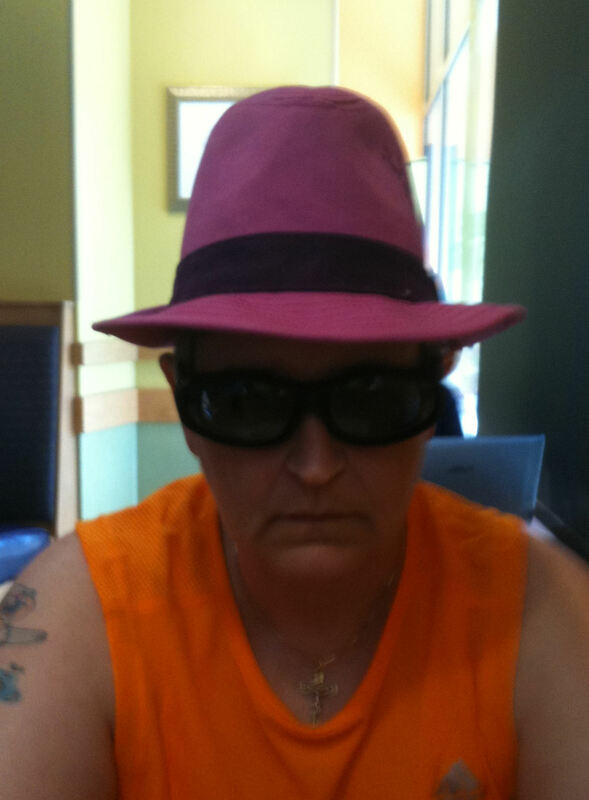 And it totally clashed with my bright orange shirt, but hey...I never set out to win any fashion awards. But if the photographer suddenly had other plans, I'd be fine with that. Oh she DOESN'T have other plans - what time should I be there. Love the hats, and the fennec. I love their ears. 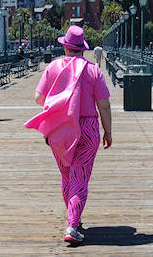 Can't wait to see the pink spandex bike video.